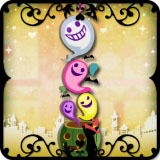 The Royal Masquerade Town event period is from October 7th 8:00 (UTC) to October 16th 7:59 (UTC). Please be aware that you must complete the Common Route before you can take part in the event. If you collect more than 490 Treats during the Town Event, you will get a 500 Cruz bonus. In the event of clearing missions and gaining a story level at the same time by finishing an ending, you will not earn Treats for using Love Passes. When clearing an ending, you will not earn Treats for the last Love Pass used, or for the final Level Up. Collecting Treats will allow you to receive special presents such as Town Items and Avatar Items. 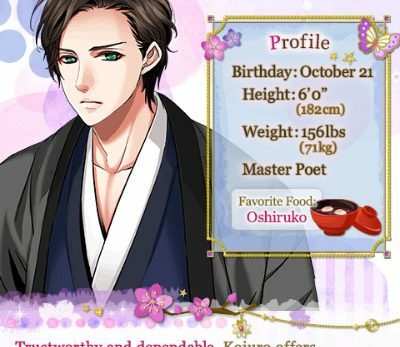 In between, you will also receive Cruz, Gems, Closet Space, and Love Factors for the next Event. 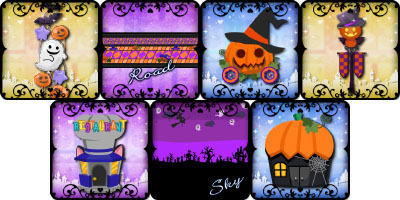 The Sky and Road will appear in the Scenery Menu in your Town Warehouse, not in your Gift Box. You can use it from the Scenery tab in the Town Menu. 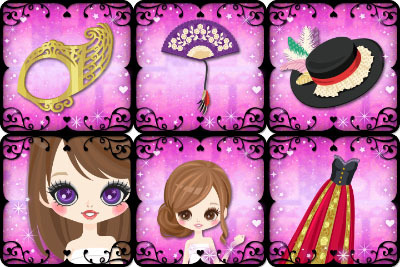 You will also be able to receive a special outfit set, made up of six avatar items. 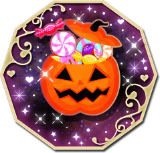 If you collect 390 Treats by October 12th 8:00 A.M. (UTC), you will get a Haunt-o-Lantern Town Object. Your town will be visited by the Princes if you place it in your Town. 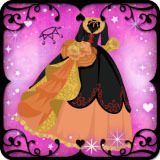 The reward for ranking in the Top 100 by the end of the event is a Moonlight Masquerade Gown (Charm: 250) avatar item. The prize will be delivered to your Gift Box within a few days after the event ends.